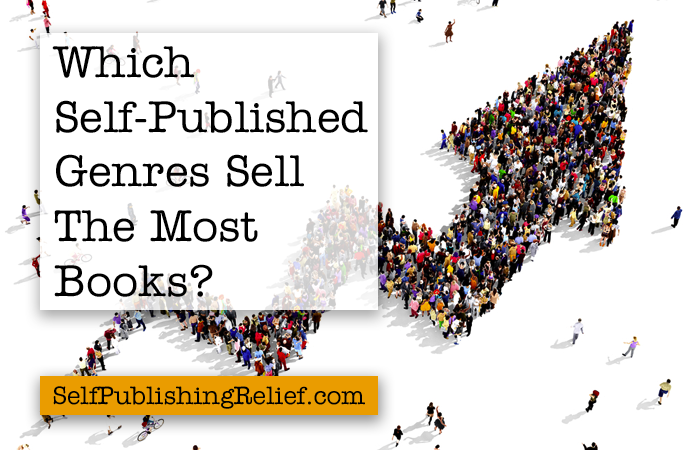 8 Responses to Which Self-Published Genres Sell The Most Books? 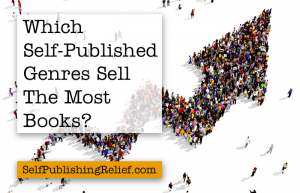 Self-Publishing Relief Has The Answer! I’m surprised non-fiction isn’t at the top. With fiction and a new author, there’s always the question of whether you really want what’s in it. With NF in general and how-to in particular, you know whether you want it or not no matter who the author is. And a lot of how-to work better in hardcopy (and depending on subject, lore likely to simply get worn out), which often get higher royalty that ebooks. I got that in one of my Yahoo Groups–they had pages of instructions for specific designs, and some of the members begged them to get printed as books because it would be cheaper than all the ink they were going through making their own hard copies! While there is certainly information out there that could point you in the right direction of which genres sell the most copies, don’t let that drag you into writing about something that you’re not passionate about. Write what you know and what you love! Self-publishing looks attractive but is it the right avenue for YA fantasy? My teen readers are likely to be in the 12-15 age bracket and they prefer printed books. I am sure it would be fine for all those adult readers of YA but I wouldn’t want to miss out on the teens, for whom the book is primarily written. Thoughts? You can self-publish a print version of your book and/or an electronic version, so that wouldn’t leave out readers of any age who prefer print books. And although it seems that more agents are considering YA these days, self-publishing is still a great way to get your YA book out there. Let us know if we can help! I wrote a YA novel and see my friends who are selling non-fiction doing much better. I seems I have to “hit a target” when it comes to my book, but anyone will buy theirs. Maybe I’m not doing a fair comparison. I am about to jump into the self publishing pool using Bookfuel. I first book coming out is “The Odessa Legacy” It is about an Island that was build to hide a secret base for Germany before WWI and was later used by the Nazis as a repository and weapons depot for a planned attack against the USA…an attack that clearly never took place. It is action adventure with adult themes as the main character in the book catches his wife doing her mothers estate attorney. Not quite pornographic, but it is close. There will never be a more comforting feeling than a crisp new book in my hands, curled up in my bed with my pillows, cats, Great Dane and hot lemon tea. Sorry, but no EBook can compare. Besides, I love creative bookmarks and bookplates. My, we would have no use for our bookcases! I hope to be published again for hard copies AND EBooks..for all to enjoy!